Prevent excessive engine movement with these upgraded engine mounts. Even new factory mounts are not up to the task of handling the increased power from even lightly modified engines (software) and often they start to fail within less than 10k miles. 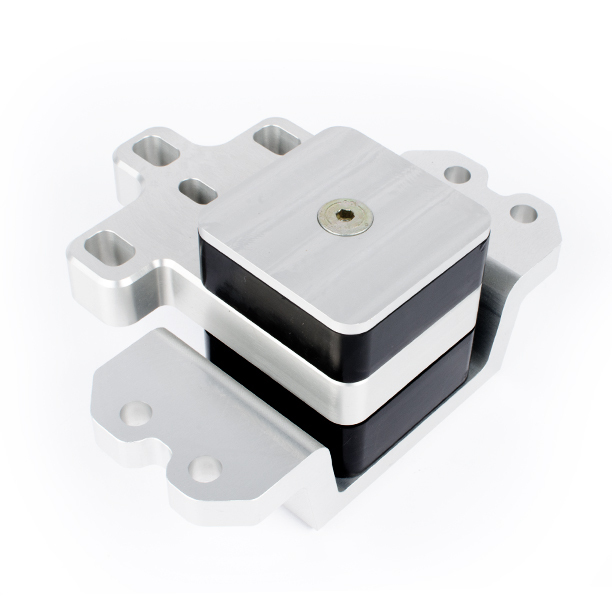 Our billet and polyurethane replacement engine mounts will keep your motor firmly planted in place and help you transfer as much power to the ground as possible, while also improving shifting. Their durable materials and construction will also ensure that they will hold up far better than OEM engine mounts can. With its 70a durometer bushings are geared towards the spirited enthusiast who wants better control over motor movement without the sacrifice of excessive vibrations. This are the best choice for daily-driven vehicles and are recommended for majority of our customers.